All on 4 Dental Implants are a modern dental restoration that has transformed the way that surgeons and dentists approach the process of replacing a full set of teeth. All on 4 Dental Implants were designed to use only 4 implants to secure an entire set of dentures. These types of dental implants rarely require any bone grafting and provide an excellent option for patients with a low bone density. If you’ve been struggling with missing teeth and are looking for a viable option in replacing them, All on 4 Dental Implants in Miami might provide the solution that you’ve been looking for. What’s the Difference Between All on 4 Implants and Traditional Dentures? Traditional implants often require up to 8 implants per arch and bone grafts. While All on 4 Dental Implants in Miami will replace your entire set of teeth using only 4 implants per arch and are embedded in the mouth at an angle, giving a natural look and structure. All on 4 Implants don’t demand bone the bone grafting typically demanded by tradition dental implants. Standard dentures are often not secure and have innate limits. Most often, dentures are painful, inconvenient, and unreliable. Dentures can make chewing and eating food a challenge, and limit the food that you once indulged in. Modern dentistry can help with All on 4 Dental Implants in Miami. All on 4 Dental Implants in Miami replace your missing teeth with a full dental bridge affixed and supported by merely 4 dental implants. With fewer implants needed than traditional dental implants, the cost, as well as overall treatment time is greatly reduced. The All on 4 Dental Implant methods also ensures a greater stability in the bone, and virtually no need for bone graft surgery. This lack of a need for grafts increases bone volume, and improve the overall density and structure of the jaw. 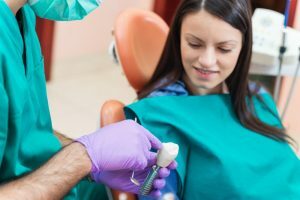 Under normal circumstances, a set of teeth can usually be placed on the same day of initial surgery, and allow you to return to your normal life shortly after the procedure has been completed. After a brief healing period, your dental professional will place the final bridge and begin enjoying your favorite meals again with new teeth, and a renewed sense of pride and confidence. All on 4 Dental Implants in Miami are fixed and no-removable and of titanium implant construction. All in all, All on 4 Implants are durable as well, so you can treat them as if they were natural teeth. Being a Cost Sensible Solution – With the replacement teeth needing only 4 implants per jaw, the costs are much more affordable. Lower Chance of Requiring Bone Grafting – The angled placement of two of the implants helps to promote a secure and stable anchoring point for the replaced arch, usually making the need for bone grafting unnecessary. Faster Treatment and Recovery Time – The replacement arches can be attached to the implants almost immediately after the insertion. The face is the window to the soul, and there is nothing comparable to having a full, vibrant smile to show the world how fulfilled you are in life, and living it. Having missing, or failing teeth in a mouth that doesn’t feel right can vacate this ability to express yourself fully. Patient’s that choose All on 4 Dental Implants in Miami can trust that they have a permanent tooth replacement solution, and have functioning teeth as well as a beautiful smile immediately after the procedure. One of Miami’s top dentistry practitioners, Andres de Cardenas cultivates a personalized and custom solution to any dental problem, for any patient. Dedicated to not only restoring every smile to a healthy and beautiful state, Dr. de Cardenas makes it a mission to also provides a restorative aid in helping people feel better about themselves. Dr. de Cardenas and his team offer a myriad of cosmetic, implant, and emergency dental services, striving to make the teeth of every patient look and feel their absolute best. Dr. Andres de Cardenas and his caring, professional team want every visitor that passes through the doors of the office to not just feel but know they are valued as a patient. Are you looking to show off to friends and loved ones about how excited you are with a beautiful smile? Dr. Andres de Cardenas and his time want you to find out just how All on 4 Dental Implants in Miami can give you the increase in self-confidence there can be in a vibrant new smile. Contact Dr. de Cardenas today and one of our specialists will get back to you promptly. We want you to feel good about yourself, and good about your smile!